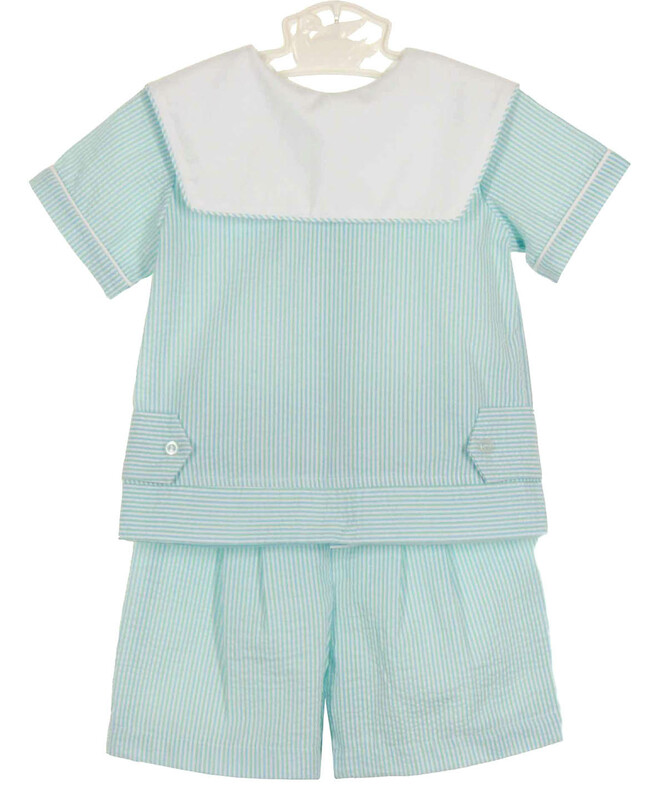 This lovely green and blue striped seersucker shorts set is made by Anvi Kids, a leading designer of beautifully detailed special occasion children's clothing. 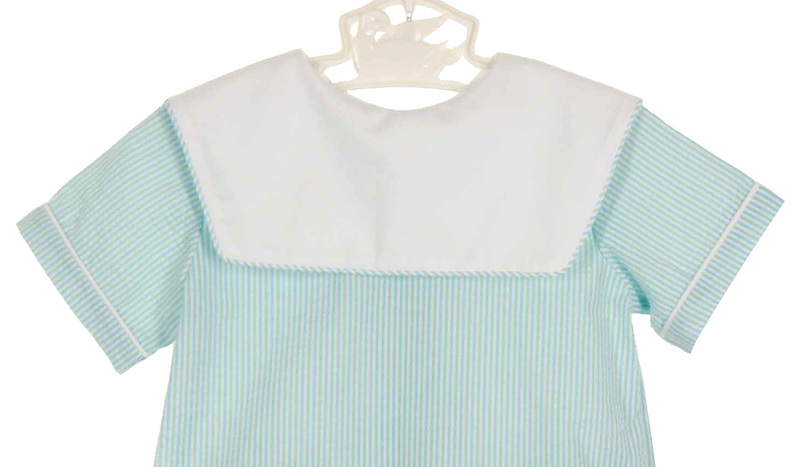 It features a tabbed front shirt with short cuffed sleeves and a white portrait collar trimmed with blue and green striped piping. The shirt has a back buttoned closure. The pleated shorts have an elasticized back waist for good fit. What a sweet outfit for your baby or toddler boy! Matching boys romper and sunsuit are also available. See below.